My project begins with a wonderful sleepy eyed vintage doll from the late 1960's. It was a gift from my Fabulous Aunt. 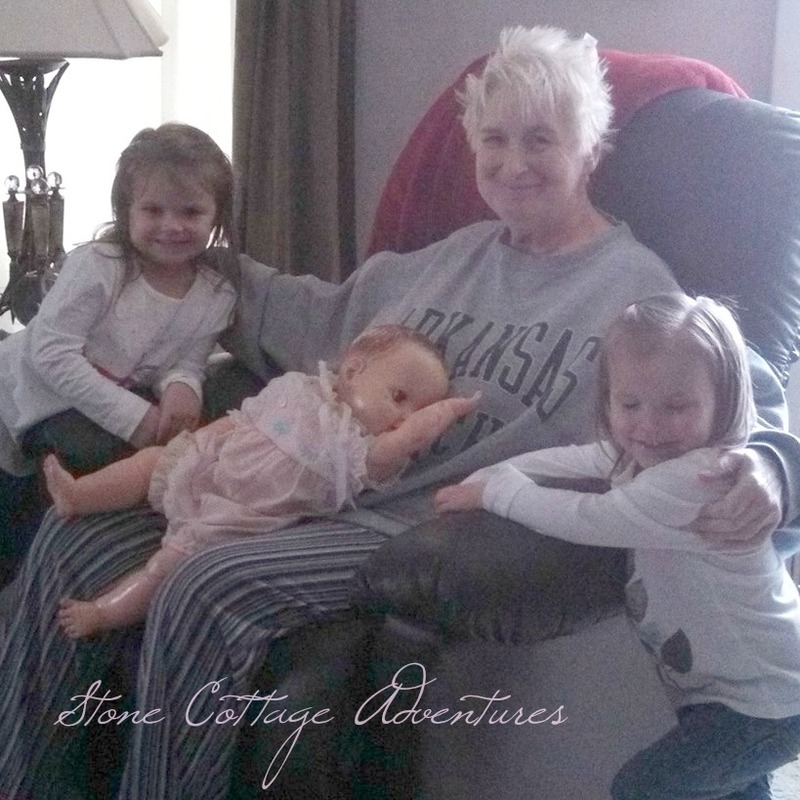 Here she is playing with our youngest granddaughters. Butterick B5624 is in my stash along with gobs of fabric and plenty of thread, so that's where we begin! I got busy sewing each item from the pattern. (Click HERE to see where the first hat landed) Next were the accessories in red fleece including little shoes! 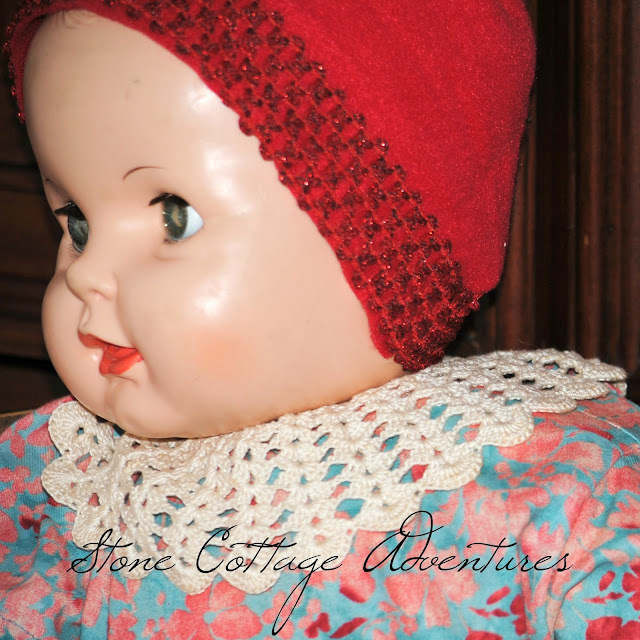 I still have a couple of crocheted collars from the 80's and one was added for this Winter Ensemble! They are just too pretty to toss! I love her cape, but have sewn a different hat since these photos were taken. Here is the Free Pattern for Shoes I used. All the supplies for this project were already on hand. Do you like playing with dolls? How sweet. I use to love sewing for my dolls. And as I got older I really didn't want to give up playing with dolls but you know how life gets in the way. So cute! I used to make clothes for my dolls when I was younger. I think I still have the pattern! So cute! 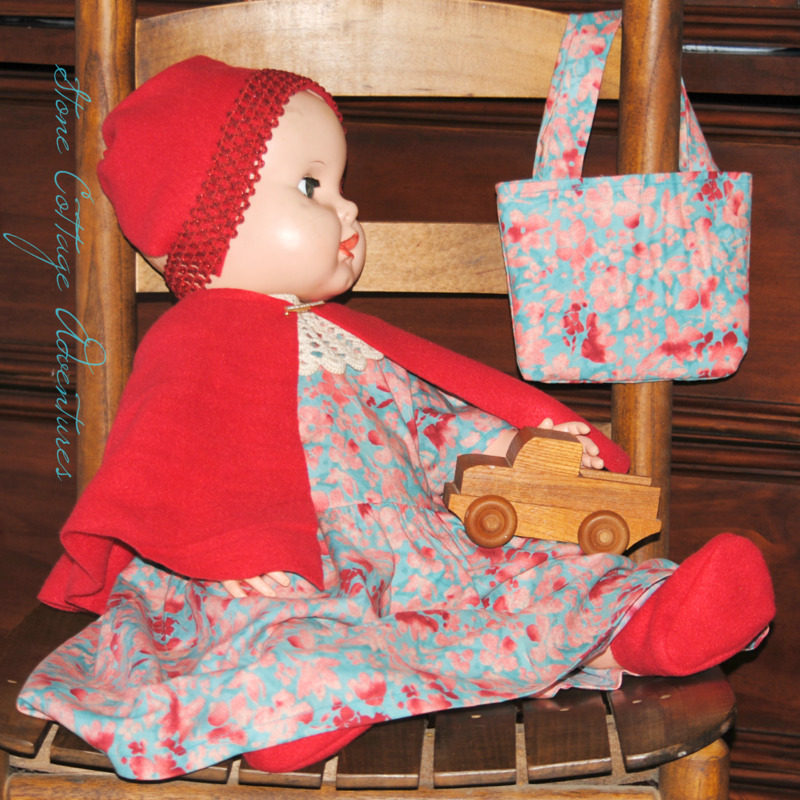 I love the fabric and how you made a matching doll bag too! How cute! 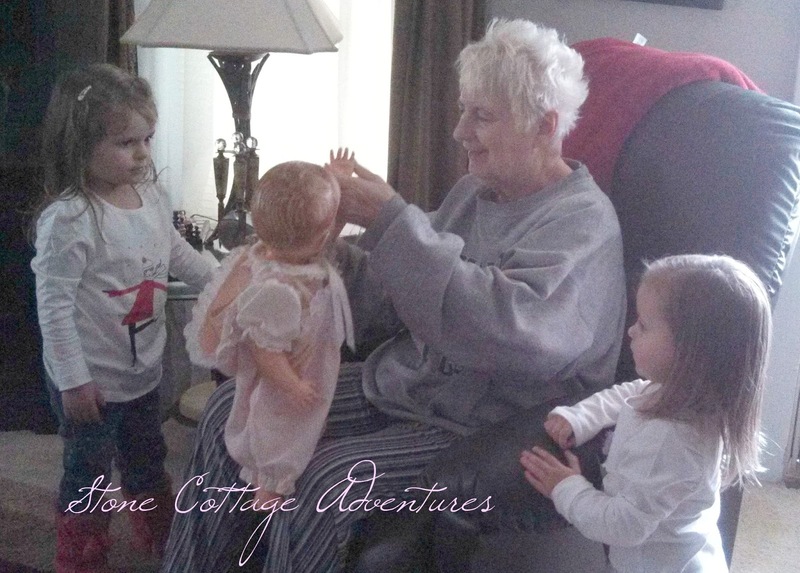 I'm sure your granddaughters love the doll's new outfit. Such a sweet and adorable project. I have no talent for sewing or crochet, but I am always so impressed by others' talents. 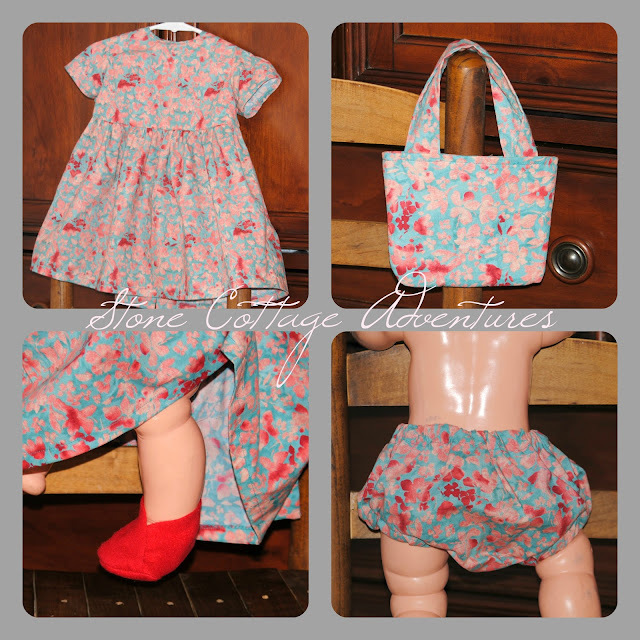 What a sweet gift for any girl's doll! What a sweet picture of your family! Cute outfit! I really like the fabric! What a great project for such a special gift!